Friday afternoon is always the day when Minor League Baseball will release the list of players, if any, have been suspended for failing a drug test. This Friday saw two players face suspension, with one of them being Cincinnati Reds prospect Nate Scantlin. He was suspended 50 games after a second positive test for a drug of abuse. 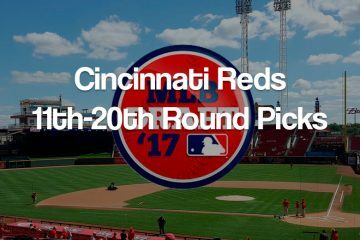 The Reds drafted Nate Scantlin out of Rose Hill High School in the 15th round in 2017. He played in 17 games that year with the Arizona League Reds. 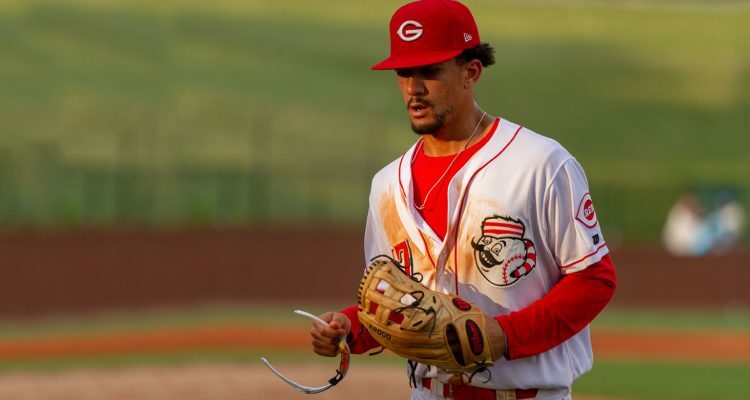 In the 2018 season he spent almost all of his season with the Greeneville Reds. In 48 games in the Appalachian League he hit .241/.352/.314 with eight extra-base hits. Near the end of the season he joined the Dayton Dragons for the final week of the year. He played in three games, going 1-10 with a run scored and he was hit by a pitch. That late season call up to Dayton is actually quite important. Since that was his last assignment, his suspension will begin when the Dragons season begins in April. Had he not been called up, his suspension would not have begun until the Greeneville season begins in late June. 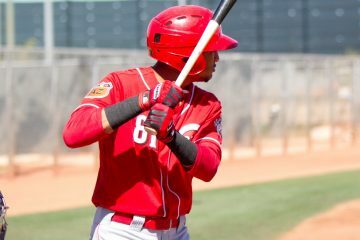 In Thursday night’s opening game of the Dominican Winter League Championship Series, Jose Siri went 4-4 with 2 doubles, 2 runs scored, and 2 runs driven in. On Friday night he had another strong game for Estrellas Orientales, going 2-3 with a walk. The Estrellas moved to 2-0 in the series over the Toros. On Friday I joined Jeff on the Locked on Reds podcast to talk some Cincinnati Reds baseball. The entire episode is only about 25 minutes long, so it’s nice for your next drive to get you from point A to point B. You can give it a listen here. Long I could marginally understand, but T Stephenson is the catcher of the future, or so it had seemed. I, too, hope it is not true for a one year rental for a team a year ahead of its time. Maybe he knows the benefits that the PEDs provide is the only way he can compete so he is willing to take a chance to try and grab the brass ring. Don’t think it makes him a terrible person. Not sure what I would do in same situation. IndyRedsFan is correct. This was not a PED suspension. Regardless. If it was pot it should be a non issue. The fact we have people locked up in jail for smoking pot is a crime in itself. I totally agree with you about Stephenson it makes no sense to give up the catcher of the future for Gray. We have not had a real stud catcher since #5 retired. I also wonder about all the dislike for Siri, he seems to have the most talent since E.D.,power,speed and a very good cf with a strong throwing arm. He was 2017 Reds minor league hitter of the year. Just a few wonderings and thoughts of a not enough coffee mind. Siri’s incredibly high Strikeout rate in the minors makes it worrisome that he will be able to hit much better major league pitching. But yeah, improve the contact and he becomes a top prospect. Jose Siri is not all that. I live in Pensacola and watched him with the Blue Wahoos. He is a talent in the outfield and on the base paths, but he is terribly inconsistent with a high K rate at the plate. He may get to the majors but needs a lot of offensive improvement first.